This one is a pretty little card with a scripture quote on it. 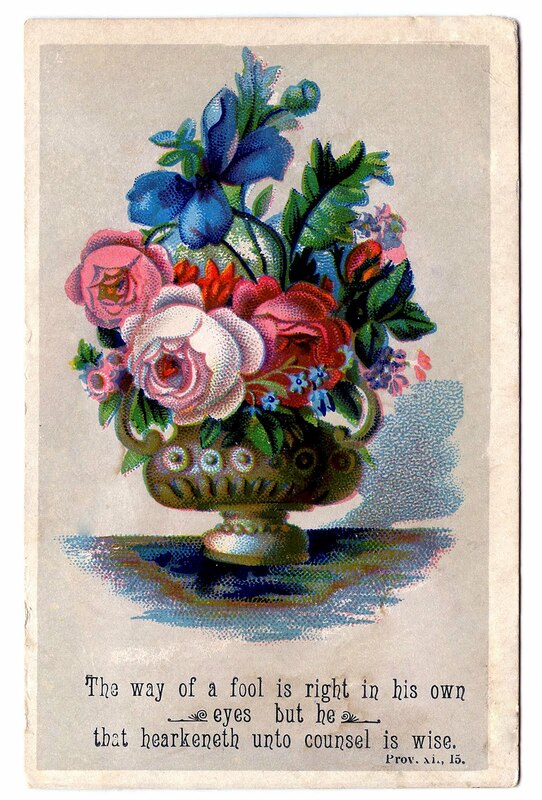 The card features an urn filled with beautiful flowers, including some pink & red Roses! Vintage Floral Bouquet Label! Gorgeous Vintage Peach Rose Frame Graphic! Vintage Pink and White Mums Image! This is an awesome site. Thank you so much for sharing your wonderful things with us. An outstanding card with a nice quote. Thanks for the best creation and sharing too.